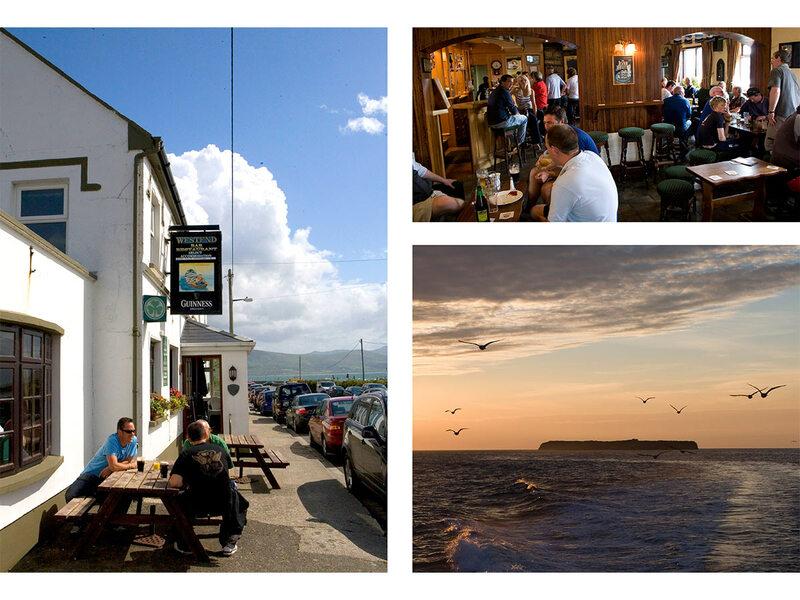 Located seven miles from Tralee town on the Atlantic coastline and fabled to be the first starting point of Saint Brendan the navigater, the West End Bar & Restaurant overlooks Tralee bay and is sheltered by the Slieve Mise mountains to the south and Brandon Head to the west. The West End is a fifth generation public house located in the picturesque village of Fenit, a small fishing port with a busy marina. Over the past 12 years we have established ourselves as one of the best restauants in north kerry. View our restaurant menu here. / View our bar menu here.